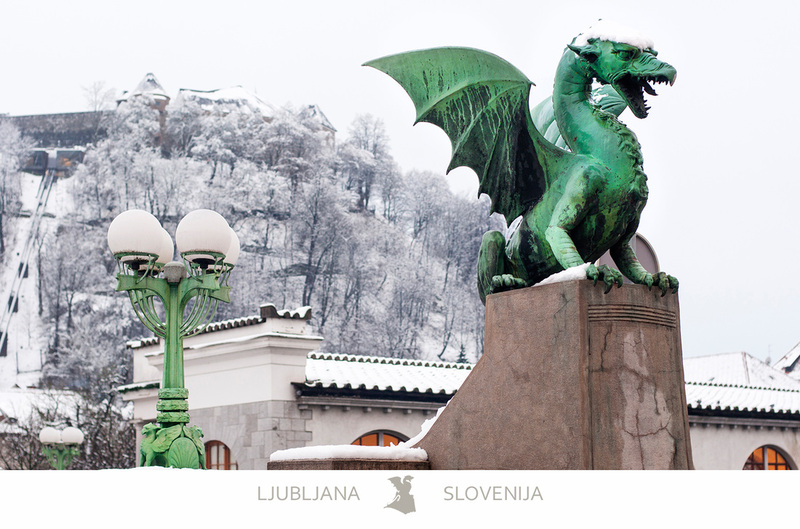 The Dragon Bridge is one of the most noted attractions in Ljubljana. Built in 1901 it holds the titles of the first bridge in Slovenia paved with asphalt, Ljubljana's first reinforced concrete bridge, and one of the earliest reinforced concrete bridges in Europe. Originally named The Jubilee Bridge of the Emperor Franz Josef I, it was changed to Dragon Bridge in 1919 after the collapse of the Austro-Hungarian Empire.